If you’ve ever been to an archery class, you’ve probably heard someone ask, “Why aren’t my arrows hitting the middle?” Though every shot is a learning opportunity, it’s still a great feeling to hit a bull’s-eye, and it’s OK to want to hit the middle every time! For arrows that don’t get #extramiddle, we’ll review five common archery mistakes that recurve archers face – and some ways to correct them. Remember, your stance not only affects foot position, but also your balance and center of gravity. By making your foundation solid, you ensure a more stable platform for strong shots. GeekDad.com. Jim MacQuarrie, archery coach and writer, used this illustration to demonstrate proper elbow rotation in a comparison between Hawkeye and Olympic medalist Brady Ellison. 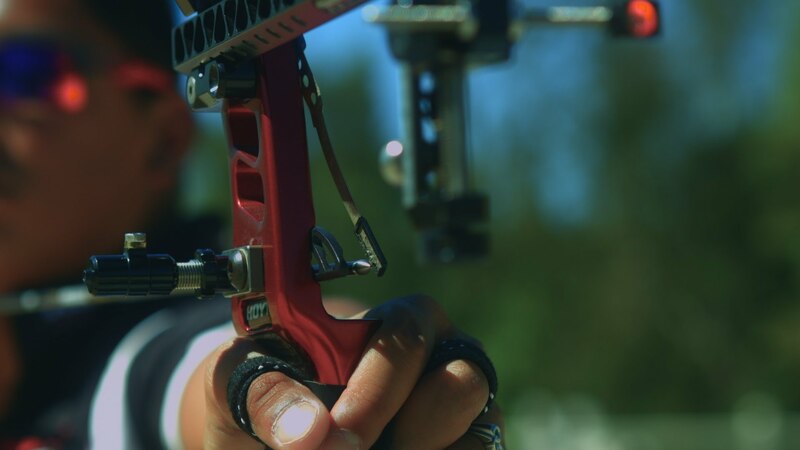 Olympic silver medalist Jake Kaminski demonstrates the proper split-finger hook: one finger above the arrow and two fingers below it, with emphasis on correct finger placement on the string. In this photo, Olympic champion Ki Bo Bae of Korea demonstrates a solid anchor point that’s used by intermediate and advanced archers: drawing the bowstring to under her chin. Many beginning archers anchor by drawing the bowstring to the corner of their mouth. Paralympian Lee Ford is a great example of an archer who consistently focuses on strong shots. Convinced your technical game is on point, but not so sure about your mental game? Learn how today dream your way to higher archery scores.